It’s easy to claim Rom. 8:28 in that God will work everything out for our good, but it’s hard to see past the fact that it’s become so overstated at the same time. As a result, I’ve sadly dismissed it on several occasions when doubt began to sink in. But today, instead of dismissing it, let’s just agree to pause and come back to it. 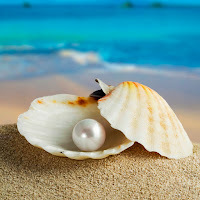 In the meantime, there is quite a bit of comparison that we can make regarding pearls and our disappointments in life. Heck, I should have enough pearls now to make a really awesome necklace by now! During March of this year, I was really struggling with a few things and, in my quiet time, had an epiphany that lead to the following seemingly random questions. Why did God choose pearls as the entry way to heaven? Why not diamonds? What makes a pearl so special? Well, a pearl is unique in the way that it is formed. First, it is the ONLY gemstone that is formed from a LIVING organism. Other gemstones are mined, cut and shaped. Secondly, they are formed one by one, individual in nature. Starting to sound familiar? A pearl begins to form when a foreign particle or “irritant” (like a grain of sand) becomes lodged in the soft tissue or “heart” of the oyster. To relieve it’s suffering, it is coated with a secretion called nacre…the shiny substance that forms mother of pearl on the inside of the shell. But it takes more than just a few layers to make a pearl; therefore it builds up over time. It’s important to note that the size, shape and color of the pearl vary depending on the length of processing time required for the irritant. Did you know that natural, non-cultured pearls are extremely rare because they are only found in 1 of every 10,000 mollusks?!? This is where I began to understand the value of the pearl. Time, beauty, patience and uniqueness. God transforms and heals the very thing that is causing the pain or “irritation” making it into a completely new and beautiful creation. Sounds a lot like passing through the pearly gates to me! However, I relate to it this way….I am the oyster, and God is the nacre. It’s like He’s the shiny substance inside of me that is taking the very pain and hurt that’s lodged in the deepest parts of my heart and transforming it into something beautiful and only me. No one else will have the same experience that produced my pearl which is also why we can’t compare our trials or their duration to anyone else’s either. It reminds me of the “Pearl of Greatest Price” mentioned in Matt. 13:46. Only you and the One who made it know the price of your pearl. So now, here we are as fall is nearing and I find myself needing to be reminded again of His faithfulness and goodness. Let’s not quit or give up prematurely in the process. I encourage you in this season to let your pearls be a reminder that He is indeed working everything out for your good and His Glory to those who are called according to His purpose. It is well...or is it? Earlier this week, I was listening to a song that has brought me to tears on several occasions. It’s the newer Bethel version of “It is Well” which modernizes an old hymn and makes it relevant to today. But after everything our family has had to endure the last few years, heck, even recently, is it really “well” with my soul? After much deliberation, the answer is actually yes, and here’s why. It wasn’t until recently that I finally understood the lyrics to this song. “It is well with my soul” is not a mere acceptance of an adverse and seemingly unchanging and hopeless situation. It is actually a declaration of a trust so confident in the One who brings peace despite the situation. And if your soul doesn’t believe it, then it’s a command from your spirit that it should! For example, it doesn’t mean that I have chosen to accept living paycheck to paycheck; it just means I KNOW that God will provide and is orchestrating our very footsteps toward prosperity with new ideas, continued favor, divine connections and divine inspiration. Why? Because aside from Jer. 29:11, He has done it before and if He never changes, then He’ll do it again. I have also not chosen to just accept the cancer, iniquity and death that has plagued those closest to me. No, what I have chosen is to believe that God sees what I cannot, and if healing that person brings glory to Him, then He will. Does it still hurt? Yes, for all parties involved. Can you still grieve and be at peace? Yes. But have you ever wondered how some can still lift their hands despite the storm? In my case, it’s been because of friends that lift them for you. Just this week, it was my turn to be that friend. It’s heartbreaking because the only help that I can offer when I am thousands of miles away is through prayer. 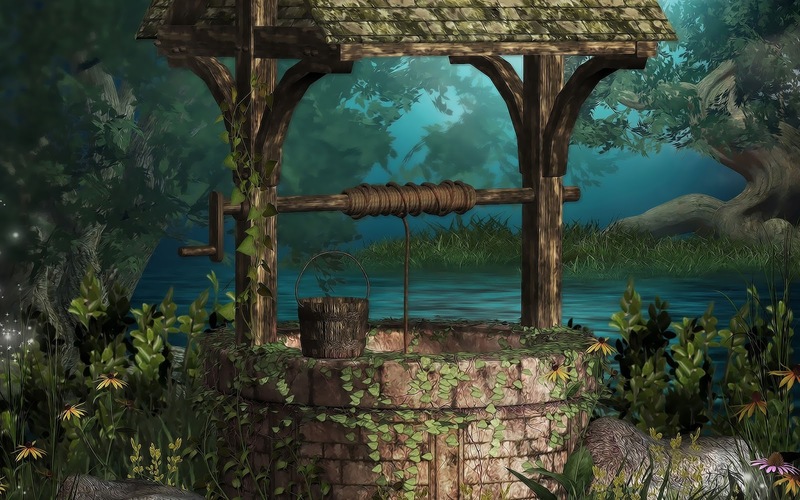 So, today I am commanding my soul to be still and trust…to be well…to worship from a deep well in hopes that it will bring peace to their soul, too. It is such a relief to know that you don’t have to be perfect to be “well.” It’s about being at peace regardless of the circumstance. That’s it in a nutshell, plain and simple.